I started by making a foam base of the same height as the tallest part of our board, then carved it to match the topography of the board. Then I spent some time arranging buildings until I saw something I liked. Our buildings came from TTCombat, luckily we also got some sidewalks that they sell. I glued sidewalk down to finalize the placement of the buildings. 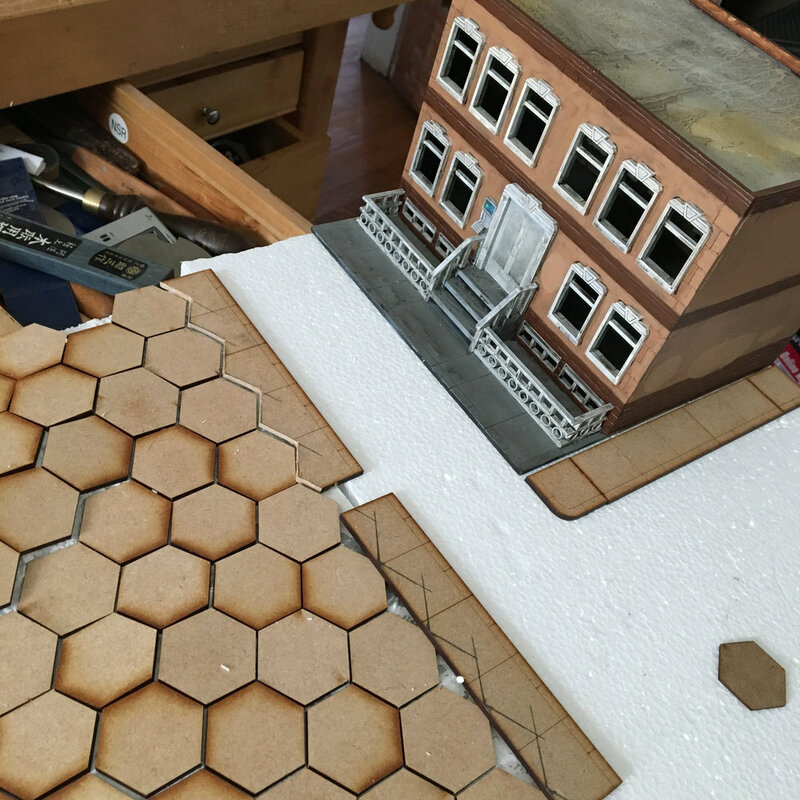 I also cut sidewalk pieces to match the edge of the hex board and cover the seam where the add-on meets the board. 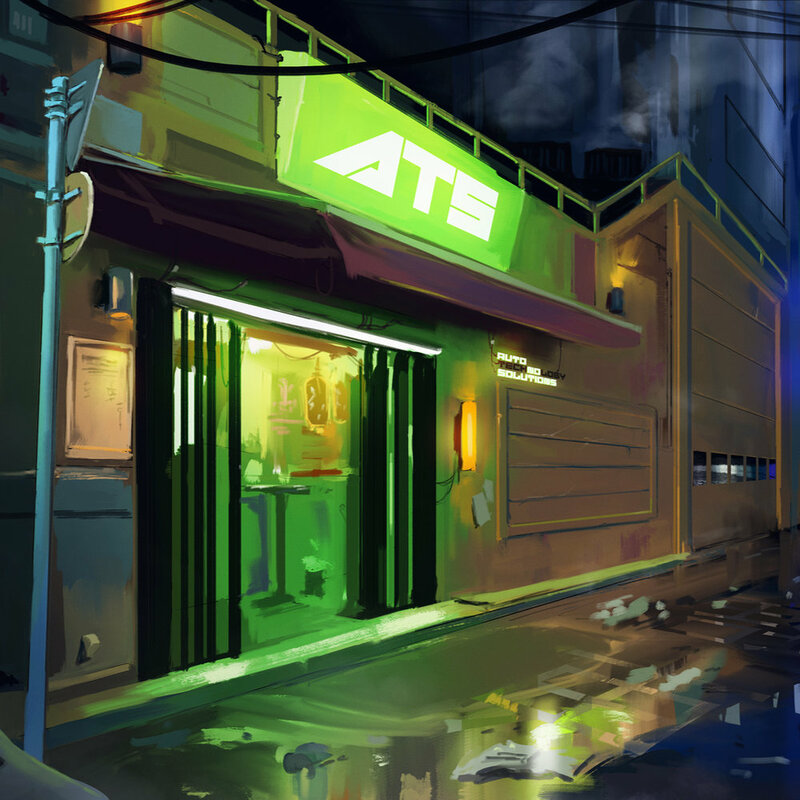 After basing it in gray, I went in with an off-white for the trim and then painted the ATS sign to match (roughly) our art for Thugs’s story. Next I cut some sandpaper and glued it down for roads. I used a 150 grit for the main roads and a coarser grain (the green strip) which will be the start of a bike path or alleyway. I’m getting excited to paint this thing! What do you think?